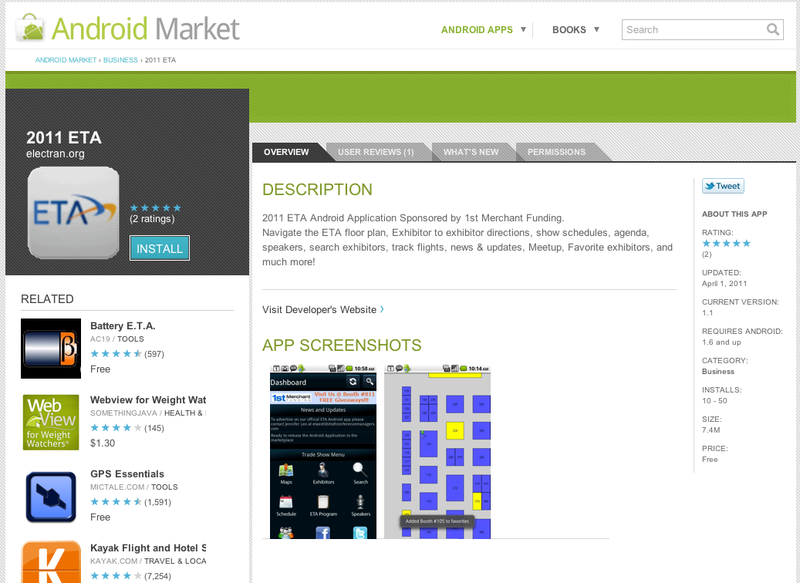 2011 ETA App Officially launches on the Android Market. Download your FREE copy today and access your favorite exhibitors, create your agenda, get route guidance to your favorite exhibitors, view the interactive ETA Annual Meeting & Expo Program Guide, Track Flights, and much more! iPhone users, we are in the midst of completing version 2.0 of the Official ETA iPhone App. We anticipate this to be live in the iPhone App Store by April 25th! We’ll keep you posted.